Print your photos directly on to wooden blocks and boards. 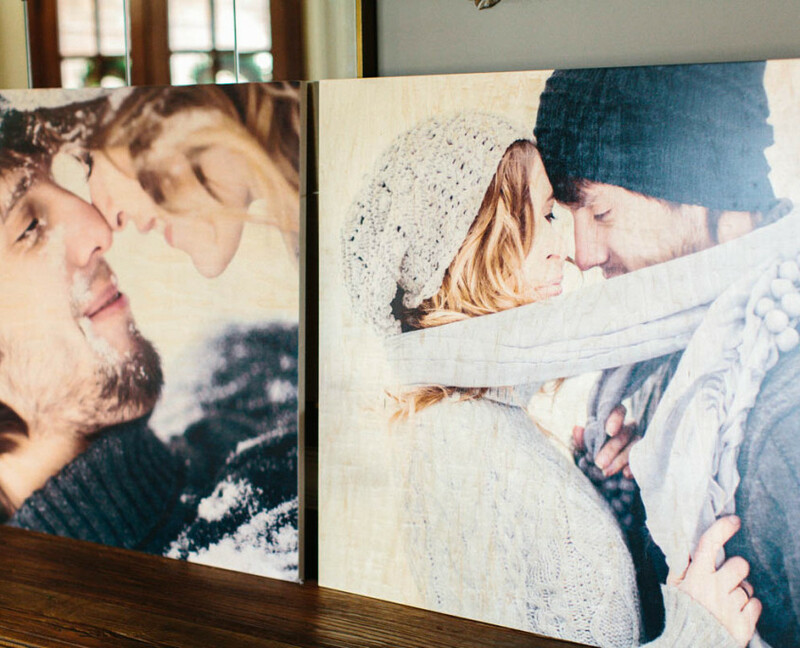 When you print on wood, the natural tones and grain of the wood combine with your image to create a truly unique and beautiful effect. We offer a variety of wooden photo products including boards, blocks, ornaments, and puzzles. Use our simple and intuitive design center to upload your digital image, preview it on wood, customize it, and have it printed on the product of your choice. Print your image directly on to high quality canvas. Each print is then stretched over a solid wood frame creating a gorgeous piece of wall art. Each Canvas Gallery Wrap is printed using the highest quality materials and processes. Fade resistant, archival inks are used to create the canvas print ensuring longevity. Add a unique twist by choose one of 10 different ribbon colors as a hanging option for sizes up to 11×14! Canvas Gallery Wraps are available in 5 sizes (6×6, 8×10, 12×12, 11×14, and 16×20) and come in either a 3/4″ depth or a 1 1/2″ depth. 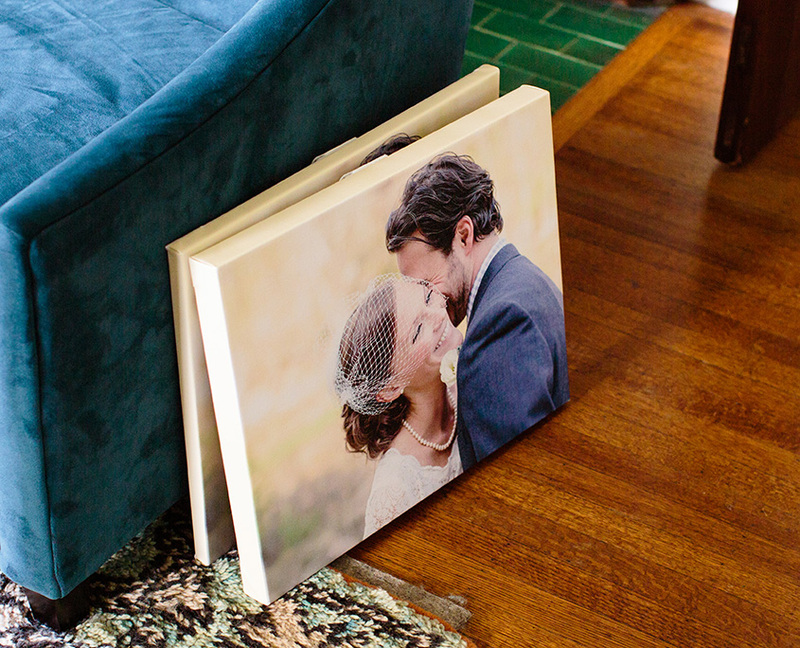 Your photos will look beautiful printed directly on to high quality burlap. The texture and off-white color of the burlap will give your photos an unparalleled vintage effect. 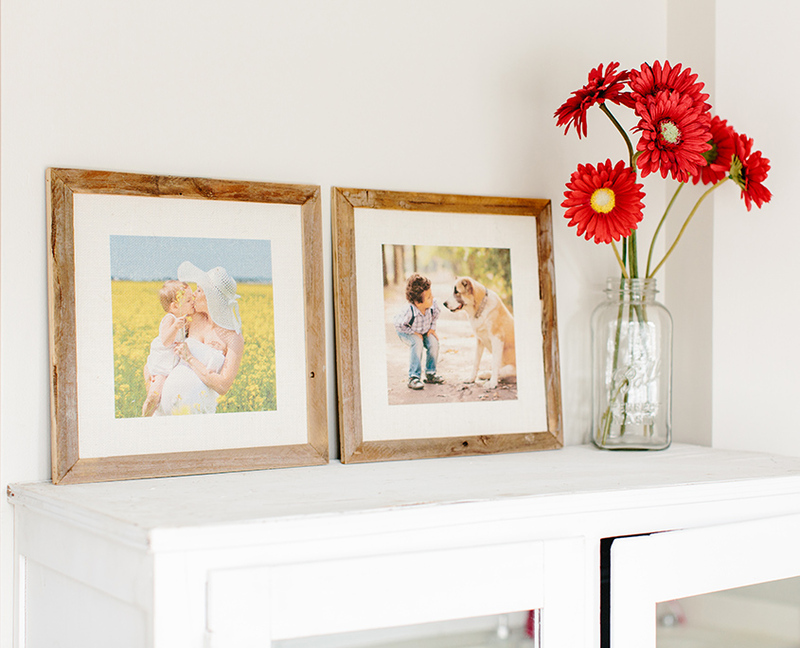 Your burlap print is then finished with a pine or barnwood frame. Frames are available in 1″, 2″, 4″, and 6″ widths. Our simple design online center will guide you through the steps of uploading you digital photo, selecting your size, previewing the image on burlap, and selecting your frame.